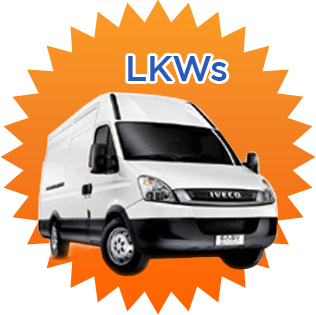 Renault Master, VW Caravelle, etc. 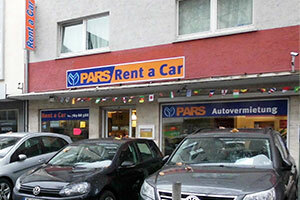 Pars GmbH was founded in Frankfurt am Main in the year 1988 and has made a leading name for itself as a reliable, flexible and fair partner in the car industry, even in the Rhein/Main region. We are very well to reach by foot from the main train station (see directions). From Frankfurt Airport it is only 11 minutes by train S8 and S9. In the middle of the metropolis of Frankfurt, this central location offers us the advantage of a quick pickup and return of the vehicles. Years of experience, technical know-how and the wishes of our customers were taken into in the vehicle selection. 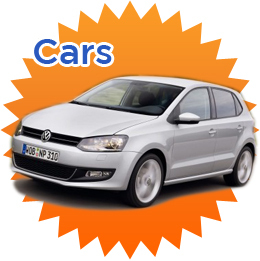 From small cars to luxury cars, we have a wide range of vehicles. Should it be something bigger, you will also find bigger vans and mini-vans with up to 9 seats, which offer enough space for everyone. For a smooth transport you will find the right transporter. We are offering different sizes of transporters. Are you looking for something out of the ordinary? Please contact us. If you are looking for personalized service and competent advice, visit us. Even with spontaneous rental requests, when renting without a credit card, special requests or even trips abroad – we attach importance to each of our customers to serve individually. Although we are centrally located, we have no station fees and can offer our customers more benefits in this way. In addition to our regular opening hours, we also offer the possibility of making an appointment. Thereby we can enable a quick and easy processing (no hidden costs). We accept all major credit cards, as well as debit cards and cash payment. Please feel free to contact us should you need any further information or have a concrete request. We are sure to make you the right offer! If you need a car, we advice you on the right choice!